The Seventy Sevens are the Seventy-Week Prophecy of Daniel 9. The prophecy is connected to the coming of Jesus, the Sabbath issue and the close of grace. This introduction lays the foundation for Part 2, the study of the Seventy-Week Prophecy in the end time. I hope you’ve listened to our latest programs, Imminent Healing of Anti-christ’s Wound and Looming US Revolution and Collapse as well as Preparation for the Coming Crisis. Those studies provide some useful context for today’s study. The question we’ll be trying to answer today is: how much time do we have left? Mind you, I’m not trying to find out the day nor the hour of Jesus’ Coming, but I’m trying to get a sense of approximately how much time is left. That question “how much time is left?” may be framed differently by various Christian groups and movements, but it’s the top of mind question for everyone who’s waiting for the return of our Lord Jesus. We’re going to begin to tackle that question today. working with the 70-Week Prophecy found in Daniel Chapter 9. The Jewish people call this prophecy the “Seventy Sevens of Daniel”. This prophecy has generated a lot of interest lately inside the Adventist Church. Messianic Jews are studying the 70-Week Prophecy as it relates to Donald Trump’s recent recognition of Jerusalem as the capital of Israel and relocati of the US Embassy there. Other Christians speculate about the length of the coming Tribulation. Everything around us signals that an apocalyptic crisis is about to explode in the US and across the world. The signs are everywhere. Consciously or unconsciously, most people are waiting for the other shoe to drop. People want to know what’s coming so they can be prepared. God has not left this last generation without light to guide us in the greatest trial any generation will ever endure. The Bible says: “We have also a more sure word of prophecy; whereunto ye do well that ye take heed, as unto a light that shineth in a dark place, until the day dawn, and the day star arise in your hearts” (2 Peter 1:19). Without disclosing the exact day nor the hour of Jesus’ Coming, which only the Father knows, God has given us the sure word of prophecy to guide our steps. “The secret things belong unto the Lord our God: but those things which are revealed belong unto us and to our children forever” (Deuteronomy 29:29). “All scripture is given by inspiration of God, and is profitable for doctrine, for reproof, for correction, for instruction in righteousness” (2 Timothy 3:16). Conclusion: the Lord does not put in His Word any secret thing. God has instructed us to search the scriptures. His mysteries are concealed to the world, but they’re revealed to His disciples, those who search for Him with all their hearts (Jeremiah 29:13). Today we’re going to begin unveiling the mystery of the 70-Week Prophecy in ancient Israel. In Part 2 we’ll be considering how this prophecy’s relates to the end time and in Part 3 we’ll consider how it relates to other end time prophecies in the Book of Daniel. Please remember to share this study with the people around you who are also looking for answers. The 70-Week Prophecy is given in Daniel Chapter 9. Before we consider the prophecy itself, let’s take a moment to situate that prophecy in the context of the history of Israel and their covenant with the Lord. This is a beautifully written prophecy that follows a beautiful intercessory prayer by a prophet whom heaven called “beloved” (Daniel 10:11, 19). At the start of Chapter 9 Daniel is in the court of King Darius, son of King Ahaseurus. King Ahaseurus was a king of Persia who had issued a death decree against the Jews, which prompted Esther to intercede before the king. This is a meaningful reminder so store that in a corner of your mind. “2 In the first year of his reign I Daniel understood by books the number of the years, whereof the word of the Lord came to Jeremiah the prophet, that he would accomplish seventy years in the desolations of Jerusalem. 3 And I set my face unto the Lord God, to seek by prayer and supplications, with fasting, and sackcloth, and ashes” (Daniel 9:2-3). 11 And this whole land shall be a desolation, and an astonishment; and these nations shall serve the king of Babylon seventy years” (Jeremiah 25:8-11). What words of the Lord had the children of Israel and Judah not heard? All of His commandments and statutes, in particular these words in Leviticus 26:2: “2 Ye shall keep my sabbaths, and reverence my sanctuary: I am the Lord”. The children of Israel had broken their covenant with the Lord. They were rebellious and disobedient. They foresook the Lord. Therefore they called upon themselves the curses for disobedience given in Leviticus 26 and Deuteronomy 28. Israel, the kingdom of the North, had already been scattered across Assyria and other lands. Now it was Judah’s turn, the kingdom of the South. “31 And I will make your cities waste, and bring your sanctuaries unto desolation, and I will not smell the savour of your sweet odours. 32 And I will bring the land into desolation: and your enemies which dwell therein shall be astonished at it. 33 And I will scatter you among the heathen, and will draw out a sword after you: and your land shall be desolate, and your cities waste. 34 Then shall the land enjoy her sabbaths, as long as it lieth desolate, and ye be in your enemies’ land; even then shall the land rest, and enjoy her sabbaths. 35 As long as it lieth desolate it shall rest; because it did not rest in your sabbaths, when ye dwelt upon it” (Leviticus 26). So the 70-year Babylonian captivity was punishment for breaking the Sabbath commandment. Judah had forsaken the Sabbath day of rest. But they had also forsaken the seventh-year Sabbath, the year of rest for the land. Therefore the captivity was to last 70 years, for the number of Sabbath years or Shemitah’s they had broken since the giving of the ordinance of the seventh year of rest for the land. The land would lay desolate and get her rest 70 years while God’s people were in Babylon. This is explained in 2 Chronicles 36: 20-21. “20 And them that had escaped from the sword carried he away to Babylon; where they were servants to him and his sons until the reign of the kingdom of Persia: 21 To fulfil the word of the Lord by the mouth of Jeremiah, until the land had enjoyed her sabbaths: for as long as she lay desolate she kept sabbath, to fulfil threescore and ten years”. However, the Lord is always faithful to His people despite their sins. Listen to this beautiful statement of grace: “And yet for all that, when they be in the land of their enemies, I will not cast them away, neither will I abhor them, to destroy them utterly, and to break my covenant with them: for I am the Lord their God” (Leviticus 26:44). “10 For thus saith the Lord, That after seventy years be accomplished at Babylon I will visit you, and perform my good word toward you, in causing you to return to this place. 14 And I will be found of you, saith the Lord: and I will turn away your captivity, and I will gather you from all the nations, and from all the places whither I have driven you, saith the Lord; and I will bring you again into the place whence I caused you to be carried away captive” (Jeremiah 29: 10,14). These are the promises that Daniel is now bringing in remembrance before the Lord, in prayer and fasting and mourning. We can better understand the 70-Week Prophecy when we realize how the weekly and yearly Sabbaths are at its core. And guess what? The Sabbath is an end time issue. So the 70-Week Prophecy has end time implications that we need to understand. We find the 70-Week Prophecy in Daniel 9:24-27. Before we read it, let’s understand that the 70 weeks are expressed in prophetic time using the “day for a year” principle. In other words, when we calculate 70 weeks by 7 days we get 490 days. Then we apply the “day for a year” principle and we get 490 years. Why didn’t the Lord simply express the time in prophetic days instead of weeks? Why didn’t He simply call it the 490-Day Prophecy? Because by using the word “weeks” the Lord is placing the emphasis on the breaking of the weekly Sabbath commandment and the yearly Sabbath ordinance. This is why the Jewish people call this prophecy the Seventy Sevens. It’s extremely important that we recognize that this prophecy is linked to a Sabbath test and a time of probation, first for literal Israel and now for spiritual Israel. The length of time determined in this prophecy is the exact length of time that the children of Judah transgressed the daily and weekly Sabbaths. The length of their transgression now becomes the length of their probation. The Jewish nation would have another 490 years to get it together and make themselves right with God. Let’s now read the prophecy itself in Daniel Chapter 9. “24 Seventy weeks are determined upon thy people and upon thy holy city, to finish the transgression, and to make an end of sins, and to make reconciliation for iniquity, and to bring in everlasting righteousness, and to seal up the vision and prophecy, and to anoint the most Holy. 27 And he shall confirm the covenant with many for one week: and in the midst of the week he shall cause the sacrifice and the oblation to cease, and for the overspreading of abominations he shall make it desolate, even until the consummation, and that determined shall be poured upon the desolate” (Daniel 7:24-27). “Seventy weeks are determined upon thy people and upon thy holy city”. 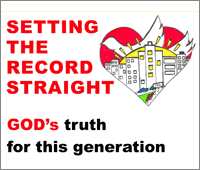 This 70 by 7 or 70-Sevens timeline is designating a period of grace for the Jewish people. Remember when Jesus told Peter that he needed to forgive his brothers 70 times 7? Jesus was referencing the 70-Sevens period of grace that God gave the Jewish nation in this prophecy. The prophecy says: “Seventy weeks are determined upon thy people and upon thy holy city”. “Determined” means “cut off” or “appointed”. Cut off from what? Cut off from the larger timeline of the 2300-day prophecy. Appointed to what? Appointed specifically to give the Jewish people one last chance. The 70-Week Prophecy (“mareh”) is part of a larger prophecy, the 2300-Day Prophecy (“chazon”) given in Daniel 8. The 2300-Day Prophecy foretold when the Heavenly Sanctuary would be cleansed, pointing to a heavenly Day of Atonement that would initiate the Judgment of the Righteous. In Daniel Chapter 8 when the angel Gabriel had given Daniel the 2300-Day Prophecy (the “chazon”) the prophet had fainted. That prophecy covered the long timeline from 457 B.C. to 1844, when the Final Judgment would begin by the cleansing of the Sanctuary in heaven. 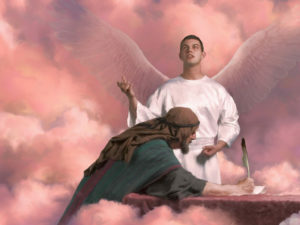 Because Daniel had fainted without understanding the time element of the 2300-Day Prophecy, the Angel Gabriel came back in Chapter 9 to explain the “mareh”, the 70-Week portion of the larger prophecy. The 70 Weeks of Years or 490 Days are “cut off” from the 2300 Days and are appointed specifically for the Jewish people. The fact that Gabriel came back to Daniel at the time of the evening oblation or the evening sacrifice – 3 pm – is significant. This small detail confirms that the 70-Week Prophecy is also related to the Sanctuary. It also confirms that it’s related to Messiah. The evening sacrifice prefigured the sacrifice of Jesus, the Lamb who replaced the Sanctuary sacrifices with His perfect sacrifice. In Daniel Chapter 9 we find the prophet praying and fasting. He’s offering a long and beautiful intercessory prayer on behalf of His people. Daniel couldn’t reconcile the 2300-Day Prophecy given by Gabriel in Chapter 8 with God’s promise through Jeremiah that He would release Judah from captivity after 70 years. Daniel was afraid that because of Judah’s iniquities God would extend their punishment to 2300 years, far beyond the 70 years prophesied by Jeremiah. He couldn’t fathom the long period of darkness and oppression that God’s people would suffer at the hand of the anti-christ beast. He was crying out to the Lord to have mercy on His people. What was the 490-Year probationary period meant to accomplish for God’s people? How exactly would all these things be accomplished? Through the ministry of the long-awaited for Messiah, as we read in the very next verse. “Know therefore and understand, that from the going forth of the commandment to restore and to build Jerusalem unto the Messiah the Prince shall be seven weeks, and threescore and two weeks: the street shall be built again, and the wall, even in troublous times”. The first 7 weeks during which the wall and the city plaza would be rebuilt. This is recounted in the Book of Nehemiah. There was physical construction amidst a lot of opposition from Sanballat, Tobias and Geshem, but the Jews prevailed. The Jewish theocracy was also reinstated. This was the “restore” part of the decree issued by Artaxerxes in the year 457 B.C. Jewish magistrates were re-appointed to establish civil and religious law. Ezra the priest read Moses’ Book of the Law to all the people in the temple during the Feast of Tabernacles which they kept joyfully because they’d been restored to their land. This started a revival and reconciliation with the Lord. The second segment of time consisted of 62 weeks. This now adds up to 69 weeks. The third segment consisted of the 70th or final week of 7 years which in turn is divided into two sections of 3.5 years. There’s great debate among Christians around this last week and how it’s reckoned. In the historicist method of interpreting Bible prophecy which we apply in Adventism, the last week follows the preceding 69. There’s no gap or interruption in the prophetic or historic flow of time. Messiah would appear on the scene after the 69th week, in other words, at the beginning of the 70th or final week. Jesus did indeed start His ministry exactly on schedule, as we’ll see in Verse 26. It is this last week of the 70 Weeks that Futurists cut off from its historical timeline. They project it forward 2000 years into the future. Most Evangelical Christians claim that in this last week the anti-christ will appear and put the Jews through a great tribulation but that the Church will be raptured into heaven. We’ll see shortly that this is a false interpretation of the prophecy. “And after threescore and two weeks shall Messiah be cut off, but not for himself: and the people of the prince that shall come shall destroy the city and the sanctuary; and the end thereof shall be with a flood, and unto the end of the war desolations are determined”. We learn here that after 3.5 years, in the middle of the last “week” of 7 years, Messiah would be cut off, meaning He would die, but not for Himself. He would die for the sins of the world. The last week started in the fall of the year 27 AD when Jesus was baptized. Jesus died 3.5 years later in the spring of the year 31 AD during the Passover Feast. The second portion of 3.5 years of that last “week” ended in the year 34 AD with the stoning of Stephen, the first Christian martyr. The year 34 AD was the close of probation for the Jewish nation. They would no longer be God’s chosen people. After this God gave the instruction to both Peter and Paul to take the gospel to the Gentiles. From that year onward literal Israel would become spiritual Israel, defined as all those who receive Jesus as their Messiah. Because of the transgression of the Jewish people Jerusalem and the temple would be destroyed. Jerusalem would be flooded by the cruel Roman armies who would utterly devastate the city and leave it desolate. This part of the prophecy was fulfilled 40 years after the death of Christ. There was a lapse of 40 years between the transgression and the punishment. “And he shall confirm the covenant with many for one week: and in the midst of the week he shall cause the sacrifice and the oblation to cease, and for the overspreading of abominations he shall make it desolate, even until the consummation, and that determined shall be poured upon the desolate”. The ”he” in this verse is still referring to Messiah. By His death on the cross and the ministry of the disciples Jesus confirmed the Abrahamic covenant with the nation of Israel. He was the Passover Lamb sacrificed on the cross in the middle of the week. His perfect, one-time sacrifice rendered the entire sacrificial system obsolete. His sacrifice superseded and replaced all other sacrifices. The iniquity of the Jewish people brought upon them their own desolation. The Jews sealed their destiny with the stoning of Stephen, the first Christian martyr. Jerusalem and the temple were consumed in flames. Jesus had prophesied to them their destruction because “they knew not the time of their visitation”. They rejected their Messiah because they misinterpreted the prophecies. Their pre-determined punishment was poured out upon them at the appointed time, in the year 70 AD. Now that we understand the prophecy and its context, let’s see what implications it has for our generation. How does this prophecy that was given for ancient Israel relate to the end time Sabbath test for all mankind? The 70-Week Prophecy only announced Messiah’s First Coming. Could it also be linked to the Second Coming? Is the 70-Week Prophecy a dual fulfillment prophecy like Matthew 24? What about the Evengelical and Jewish interpretation of the 70-Week Prophecy? Will a third temple be rebuilt? What implications does this prophecy have for God’s remnant people? Does it tell us anything about the ministry of the 144 000? The question that’s on every mind: How much time do we have??? 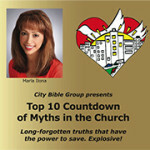 Be sure to join me for Part 2 of the study, called “The 70-Week Prophecy in the End Time”. Tagged 2300, 490, 70, abomination, angel, Babylon, babylonian, Bible, captivity, covenant, Daniel, desolation, disobedience, futurism, futurist, Gabriel, God, grace, heavenly, historicism, historicist, interpretation, Israel, Jeremiah, jerusalem, Jesus, Jew, Jewish, Judah, king, lamb, land, Messiah, mystery, nehemiah, ordinance, prince, probation, probationary, prophecy, prophet, prophetic, righteousness, Sabbath, sacrifice, Sanballat, sanctuary, scriptures, seventy, tabernacles, temple, transgression, vision, wall, waste, weeks.